Prime Minister looks to counter 'not always friendly' relations with European Union by forging new alliances with eastern European states. Israeli Prime Minister Binyamin Netanyahu landing in Lithuania Thursday afternoon ahead of a gathering of leaders of the Baltic states. Netanyahu said earlier on Thursday that he wanted to use his trip to help counter the European Union's "not always friendly" relations with his country by deepening ties with eastern European nations, as he left for the Baltic summit. "I want to achieve a balance in the European Union's not always friendly relations with Israel in order to maintain fairer relations," Netanyahu said before boarding the plane for the first-ever visit by an Israeli premier to Lithuania. "I am doing it through contacts with blocs of European Union countries, eastern European countries, and now with Baltic countries and other countries, of course." Netanyahu will meet the leaders of Lithuania, Latvia and Estonia together in Vilnius during his visit, which is set to last until Sunday. He has regularly sought sympathetic ears within the EU, particularly among countries that can serve as a counterweight to the critical treatment Israel often receives from western European nations over its policies in Judea and Samaria. 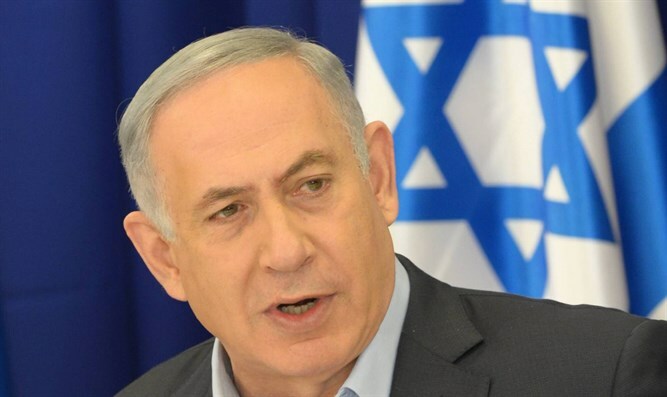 Netanyahu has also been eager to convince European countries to exert more pressure on Iran after the United States pulled out of the nuclear deal between Tehran and world powers and reimposed sanctions -- something Israel had advocated for. European countries have sought to rescue the deal, to which the EU was one of the signatories. They say it is working as intended, keeping Israel's arch-enemy Iran from obtaining nuclear weapons for now. During a visit to Hungary last year, Netanyahu denounced EU demands of Israel as "absolutely crazy", in closed-door remarks picked up by a microphone and overheard by journalists.